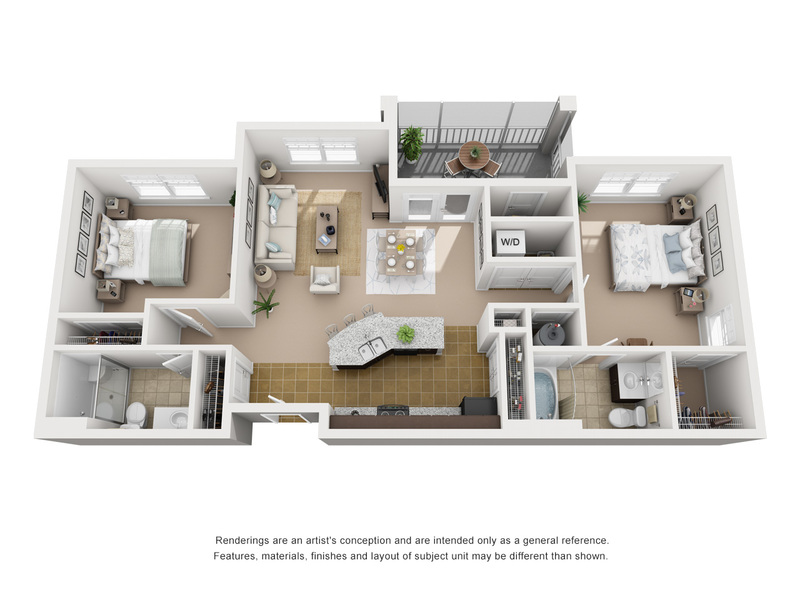 Cottage Trails at Culpepper Landing offers a variety of spacious one-, two-, and three- bedroom floor plans. 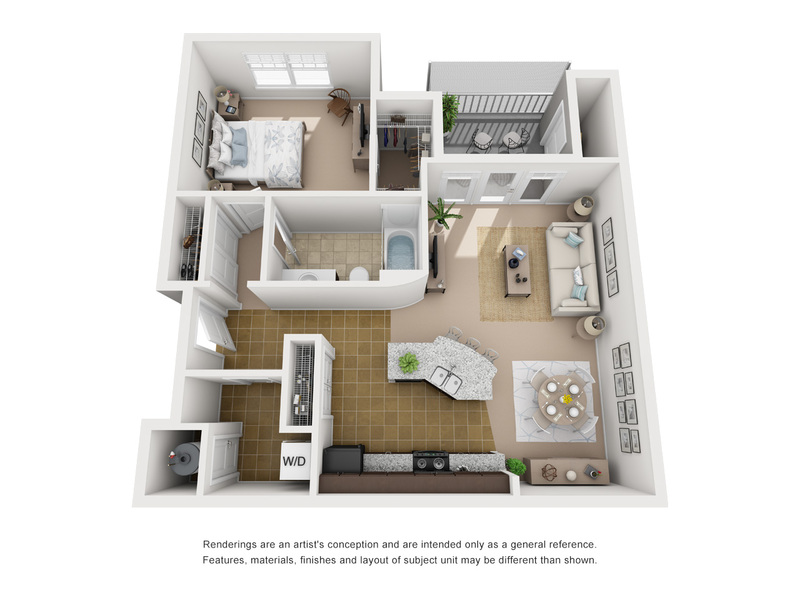 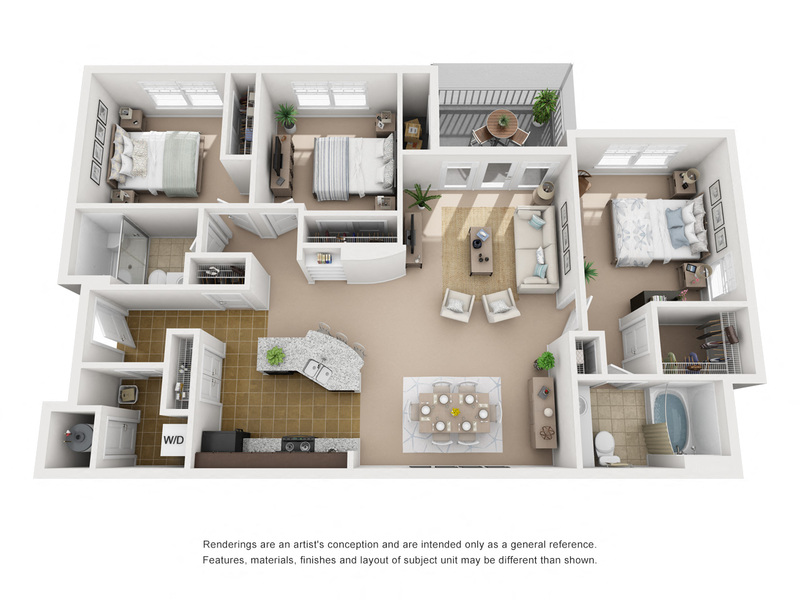 Our apartments feature nine-foot ceilings, crown molding, and walk-in closets. 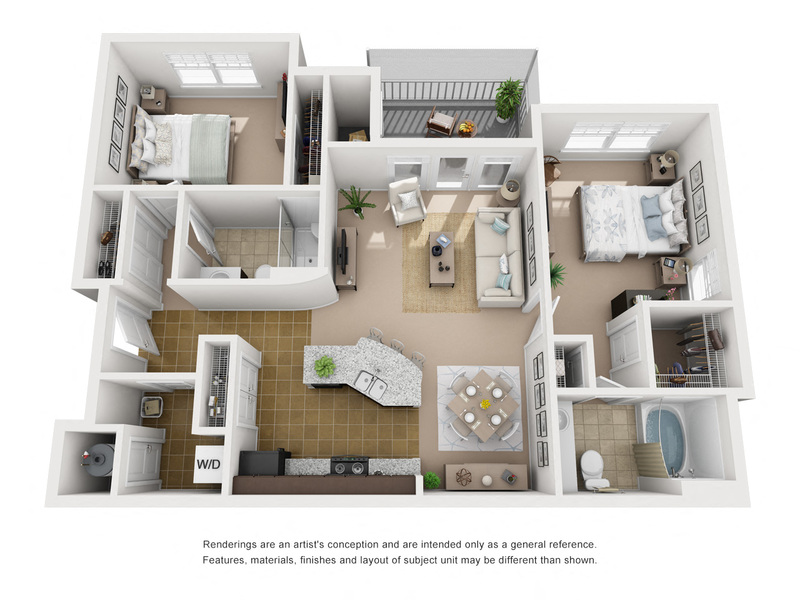 Each unit contains a modern kitchen equipped with a dishwasher, garbage disposal, built-in microwave, breakfast bar, and custom espresso cabinets.